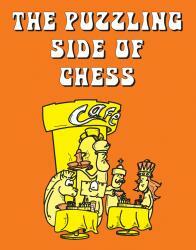 Canadian master Jeff Coakley is the author of the popular Winning Chess For Kids books. He is one of Canada's leading coaches and a long time composer and collector of chess puzzles. His column features a wide range of material, with original compositions and classic puzzles from the past. It is posted three times per month, on the second, third, and fourth Fridays. This column presents seven puzzles of various types, all involving rooks and knights. The grand finale is a very challenging “eight pair loop”. A. Black is in checkmate. B. Black is in stalemate. C. White has mate in one.